– Create one-of-a-kind live television holiday programming. 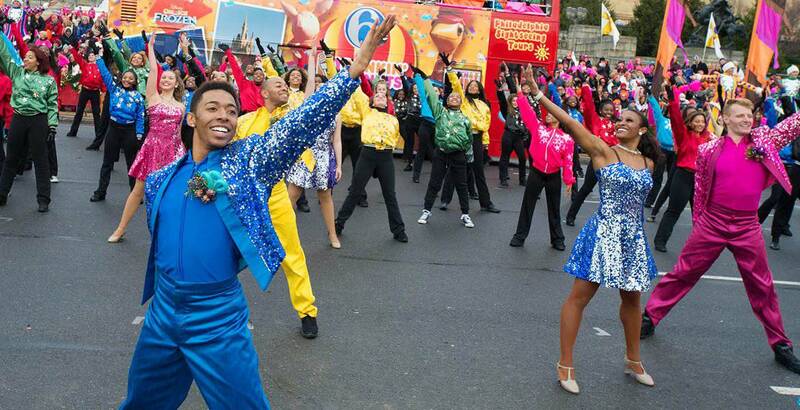 – Produce a live street parade experience for over half a million spectators in Philadelphia. – Build viewership by innovative and creative programming. – Promote client’s brand through strategic marketing and promotional efforts related to the Parade. To meet the challenges, ACCESS team members move into 6abc studios for eight weeks prior to the event. The team is responsible for overseeing all elements of the event – from creative content, operations management, television production, local and national parade talent, artistic direction, vendor relations, sponsor fulfillment and more. While the eight weeks leading up to the parade are certainly the most intensive, the planning of the event is virtually a year-round planning process for ACCESS and its co-producers. The parade continues to be a huge success year after year event was a huge success has consistently been the most-viewed Thanksgiving Day Parade since measurements began in 2006!